HomeInsightsNo time (or plastic) to waste! The growth of this sector has not been evenly matched to consider its life cycle. Of the 8.3 billion, it is estimated that only 9% has been recycled and 12% incinerated. The remainder either ending up in landfills or in our environment. Likely, every piece of this plastic still exists today, with a degradation rate of over 400 years.2 The resulting stories that populate our news feeds testify to these shortcomings: Worldwide inability to meaningfully reduce, recover and recycle plastics; ocean pollution; stockpiles of plastic scrap; and import bans from countries that no longer want to serve as the world’s recyclers. In January this year, attention to the world’s obsession with plastic grew stronger. 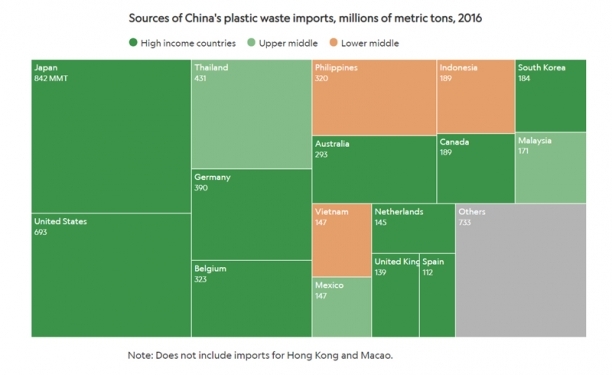 China, who had once served as the largest importer of plastic scrap (amongst other recyclable materials) closed their doors. This left exporting countries, like Japan, U.S.A., and others to search for a new importer or resort to sending plastic to landfills. We find ourselves at a crux in the plastics debate. Sure, we can all think of an application or two where the use of plastic may seem excessive or unnecessary, but on the other hand we rely on this material in many ways. What is needed is intervention that challenges, stimulates and supports all involved in the plastics economy. It requires support from government in the form of legislation, and action along the value chain from producers and consumers. Ideally, this would lead to what some see as the holy grail of responsible consumption and production, a circular plastics economy. One way to support a circular plastics economy would be to boost the demand for recycled plastic. 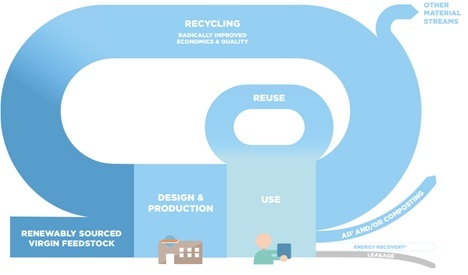 For example, if a company was incentivised to increase the amount of recycled materials or taxed on the amount of virgin materials used in their products, it would be in the best interest of the business to find a fitting solution to reduce long-term costs. At the moment, companies who chose to use recycled content in their products are driven by corporate leadership rather than compliance. For example, H&M, the global fashion company has set a target by 2030 to only use sustainably sourced or recycled materials. Likewise, Swire Beverages, the manufacturer of Coca Cola beverages in Hong Kong is looking to introduce recycled plastics into their beverage bottles after already introducing it into their U.S.A. markets. 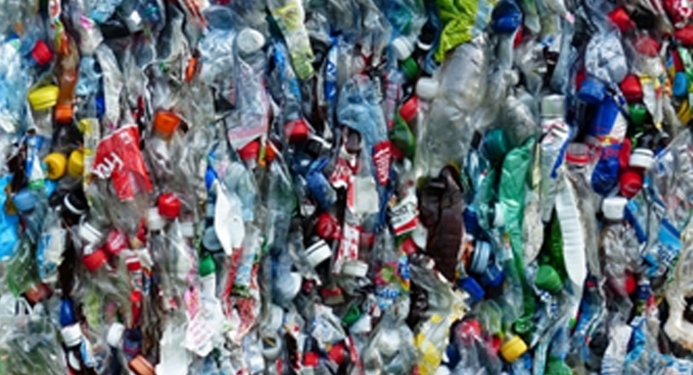 For this to become the norm would increase the demand for recycled materials and decrease pressure on virgin materials from industries who rely on plastics. Another way to support a circular plastics economy is to educate the public. Not only is there a need to support a lifestyle shift where consumers feel they can use and reuse a product, but more information on what proper sorting and clean recycling looks like. These suggestions and more can be found in the Swedish Chamber of Commerce in Hong Kong’s Call to Action position paper, which gives nine recommendations to the government in order to support business and consumers in their transition to a more circular plastics economy. Next week, the annual CSR Asia Summit will include a session on the state of the plastics issue including the urgency needed to address it. We will hear from dynamic speakers including representatives from the Swedish Chamber of Commerce, Plastic Free Seas, H&M, John Swire and Sons, and The Green Earth. For more information, please contact Julia Whitney at CSR Asia ([email protected]).